New laws relating to General Data Protection Regulation (GDPR) come into effect from 25 May 2018. The purpose of GDPR is to provide a set of standardised data protection laws across all EU member countries. This document sets out how Angela Gilchrist Psychology complies with these laws. Ms Angela Gilchrist is the data controller for Angela Gilchrist Psychology. If you complete a web-based enquiry form, we will also collect any information you provide to us as well as your internet protocol (IP) address. This is automatically supplied by the website software used to offer the form. All web services used by Angela Gilchrist Psychology are verified by themselves as GDPR compliant. If you are referred by your health insurance provider, we will also collect and process personal data provided by that organisation. This includes basic contact information, referral information, and health insurance policy number and authorisation for psychological treatment. Angela Gilchrist Psychology has a legitimate interest in using the personal data and sensitive personal data we collect to provide health care and treatment. The data collected is necessary for us to provide psychological therapy to clients. We may also ask for information on how you found our service for the purpose of our own marketing research. No information you provide is passed on without your consent. We will never sell your information to others. At Angela Gilchrist Psychology we take your privacy seriously. We will only use your personal information to provide the services you have requested from us. If you do not provide the personal information requested, then we may be unable to provide a service to you. We will only store your personal information for as long as it is required. Basic contact information held on a mobile phone is deleted at the end of therapy. The sensitive personal data defined above is stored for a period of 7 years after the end of therapy. After this time, this data is deleted at the end of each calendar year. Process payment for such services. Send you information about our services that might be of interest to you. You have the right to opt-out at any time, and request that your personal contact information is deleted to prevent future proactive contact from ourselves. If you are referred by your health insurance provider, or otherwise claiming through a health insurance policy to fund therapy, then we will share appointment schedules with that organisation for the purposes of billing. We may also share information with that organisation to provide treatment updates. In cases where treatment has been instructed by a solicitor, relevant clinical information from therapy records will be shared with legal services as required and with your written consent. When there is need-to-know information for another health provider, such as your GP or Psychiatrist. Personal information is minimised in phone and email communication. Sensitive personal data will be sent to clients in an email attachment that is password protected. Angela Gilchrist Psychology will never use open or insecure Wi-Fi networks to send any personal data. Personal information is also stored on office computers. These are password protected. Malware and antivirus protection is installed on all computing devices. Mobile devices are protected with a passcode/thumbprint scanner and mobile security. You have a right to access the information we hold about you. We will usually share this with you within 30 days of receiving a request. There may be an admin fee for supplying the information to you. We may request further evidence from you to check your identity. A copy of your personal information will usually be sent to you in a permanent form (that is, a printed copy). You have a right to get your personal information corrected if it is inaccurate. You can complain to a regulator. If you think that we haven't complied with data protection laws, you have a right to lodge a complaint with the Information Commissioner’s Office. Angela Gilchrist Psychology reserves the right to refuse a request to delete a client’s personal information where this constitutes therapy records. 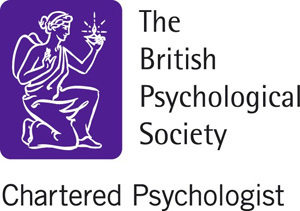 Therapy records are retained for a period of 7 years in accordance with the guidelines and requirements for record keeping by The British Psychological Society (BPS; 2000)and The Health and Care Professions Council (HCPC; 2017). Health and Care Professions Council (2017). Confidentiality – guidance for registrants. London: HCPC.